Some things are just meant to be… For example, beer and skiing. 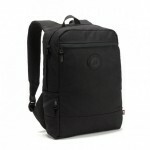 Oh yes, and the Melvin Brewing x Teton Gravity Research (TGR) collab. The Pokes aren’t the only ones dominating in the Wyoming snow. 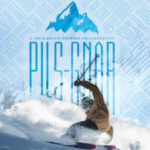 This Pils-gnar is a mind blowing beverage that is sure to keep you satisfied whether you’re skiing on the slopes or surfing on the couch. The beer is inspired by, and built for, those who shred the gnar using a slightly sweet malt with a blend of bright, tangy, flowery hops for a spicy, fruity and balanced bouquet. Side Note: If you’re a ski vacation tourist this winter, glue one of these cans to your hand and you’ll look like a local, brah. Feel free to go deep here and go with a 6-pack for each hand as the Pils-gnar sports an ABV of 4.5 percent. Finally, if you happen to be near Bellingham, WA this Saturday, November 11, check out the Melvin Bellingham location from 4pm — 11pm. 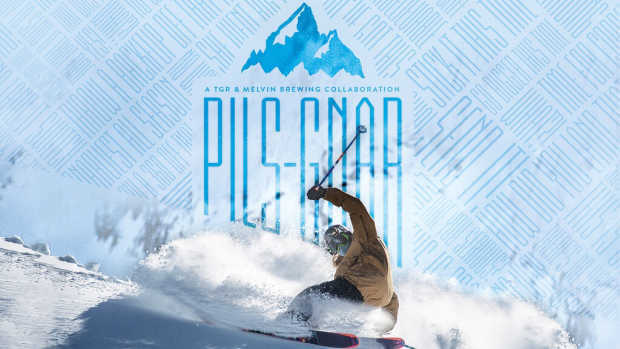 There’s a 90’s style Apres-Ski themed soiree Nick McNutt (the skier on the can) will be in the house signing Pils-gnar cans! Go Pokes.